Alright, so it’s no Dusty In Memphis, but that is not to say Sylvie A Nashville is without its charms—quite the contrary. 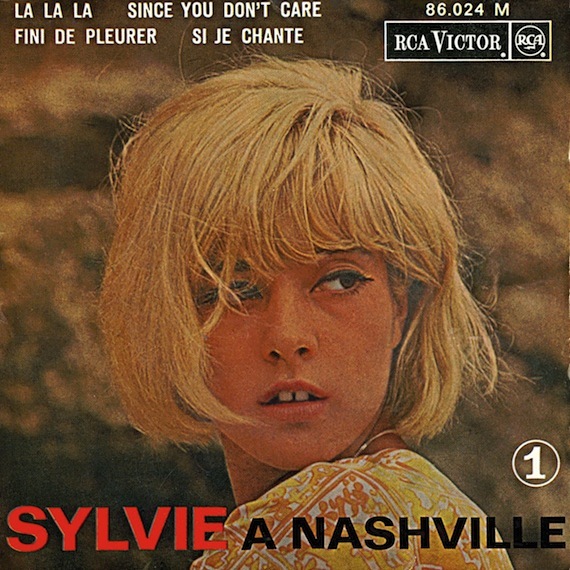 Not unlike the Dusty In Memphis project, here we find yé-yé chanteuse Sylvie Vartan away from the Saint-Germain and in wilds of Nashville during the mid-60s trying her hand at cutting some country sides. Whereas Dusty found herself surrounded by, and recording with, the cream of Memphis r&b and soul, here Sylvie works up some C&W magic with some of Music City’s best players (including some of Elvis Presley’s musicians and backup singers). Nice! Now I have to track down the full album.